If it doesn’t bring a lump to your throat, you’re already beyond help. Essential listening, then, this Gathering. On April 8, 2016, Gathering was officially released across Canada (retail and online stores) and worldwide (digital distribution) through Outside Music Distribution in Toronto. 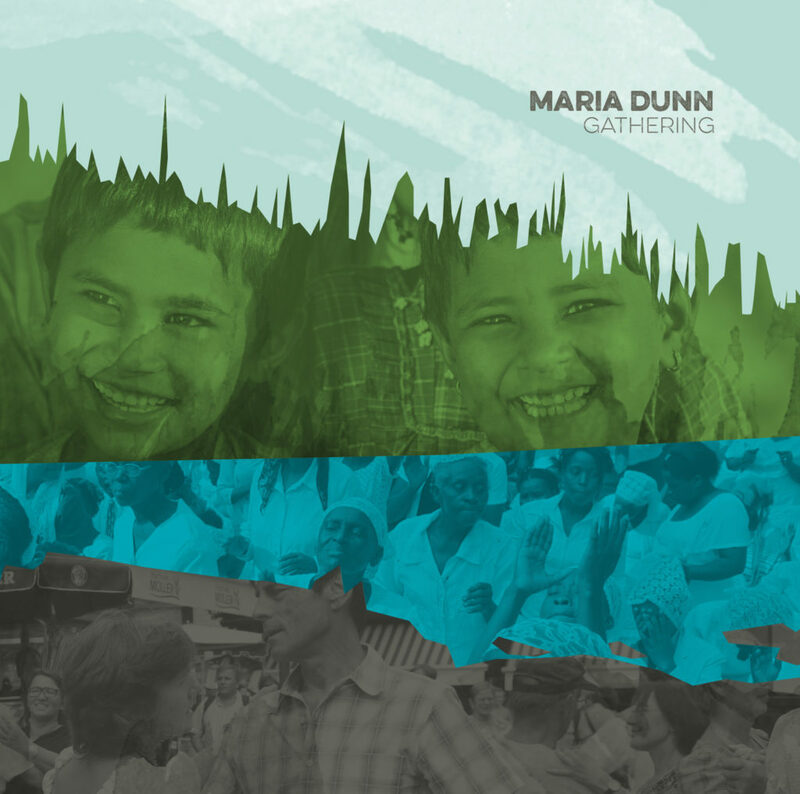 On her sixth recording, Gathering, Juno-nominated songwriter Maria Dunn highlights stories of love—not songs of romantic love, but songs of family, community, humanity and the love that fires our actions to make the world a better place. In keeping with Pete Seeger’s words (1994), “The key to the future of the world is finding the optimistic stories and letting them be known”, the songs range from historical and narrative to personal and immediate, inspired by social justice stories both global (Malala, When The Grandmothers Meet) and local (When I Was Young, How I Live). A storyteller through song, Maria writes about the resilience and grace of “ordinary” people. Her earlier albums anchor these tales in music that melds North American roots with her Scottish-Irish heritage. With Gathering, Maria continues to expand her musical palate with contributions from Sufi singer Karim Gillani and jazz saxophonist Jeremiah McDade. Produced by Shannon Johnson (of Juno award winning band, The McDades) with guest musicians: Eric Breton (percussion), Karim Gillani (guest vocal), Shannon Johnson (violin), Ojas Joshi (tabla, percussion), Jeremiah McDade (saxophone, bansuri, whistles, guitar), Solon McDade (upright bass) and Asani (singers Debbie Houle, Sarah Pocklington and Terry Morrison). The 11 songs on Gathering range from Malala, a buoyant call to action inspired by Malala Yousafzai, to When I Was Young, a flowing old-time ballad inspired by Alberta indigenous leader Dorothy McDonald-Hyde. How I Live shares the quiet courage of families supporting their children with disabilities, while When The Grandmothers Meet celebrates women across the globe, with its exuberant vocals and joyful horn lines. The recording finishes with Music In The Meadow, a bluesy bow-driven wordplay on the wonder of the Rocky Mountains.